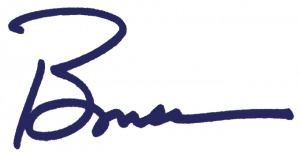 As you might recall, as part of the State of the County address on March 15, I introduced a supplemental budget to take advantage of some year-end surplus money and an improving economy. We want to make meaningful progress on several key initiatives. Among those priorities are behavioral health, homeless veterans and youth, public safety, and economic development. Last week the Council’s Committee of the Whole (COW) met to consider our budget proposal, only to introduce a different budget that cut our proposal nearly in half. I will be working hard to convince Councilmembers to restore much of this important funding when they next meet on June 6. I want to provide you with some insight as to what happened and what’s next with this important process. First, let me say I respect the distinct responsibilities of the executive and legislative branches of our government. I appreciate the important checks and balances built into our democracy. The legislative branch has the responsibility for setting the budget. I also want to underscore that I believe the Council and the Executive team are very much aligned on the needs of our citizens and the issues we face in creating a healthier, more vibrant region. Having said that, I must admit I am frustrated that what I believe are smart and innovative initiatives have been slowed down – and perhaps eliminated. I understand the desire to be cautious with new approaches, but at some point this caution becomes “paralysis by analysis,” keeping us from moving forward and solving problems we all recognize are there. Leaders plan and prepare, but at the end of the day, leadership is about empowering people to get the job done. Is everything in our supplemental budget going to work and achieve the goals we’re setting out? I certainly think so, but at the same time, I realize I can’t guarantee success. But, I can promise you one thing: doing nothing is not an option for me. Our citizens need and expect us to deliver solutions. For example, we want to try something new as a way to help people in crisis. We think having mobile crisis response teams of trained professionals in specially equipped vans would provide a more effective and less costly alternative to emergency rooms or our jail – the only real options for those in crisis. The mobile teams would give timely, potentially life-saving support to those facing mental or behavioral health challenges. Our proposal has the support of first responders and the behavioral health community. Yesterday, the News Tribune Editorial Board weighed in with strong support. A wall of peanut butter! 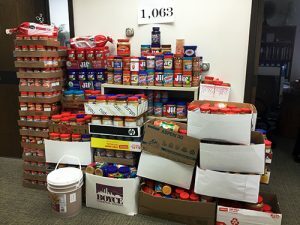 Speaking of helping people, did you see Joe Carrillo’s email about our generous employees contributing more than 1,500 pounds of peanut butter as part of a food drive with IBEW Local 483? Thanks to employees in HR, Human Services, IT, Finance and the Sheriff’s department, the 1,000 jars of Skippy and Jif will be turned into more than 24,000 sandwiches for our friends and neighbors. Bravo Zulu (Navy for “well done”)! Lastly, I would be remiss if I didn't mention that our department directors were recently re-confirmed to their roles by the Council in a 7 – 0 vote. Congratulations and let's get to work!